Emmy sneaks home with the skin, or haint as she calls it, and after changing clothes, stuffs it in her bottom dresser drawer in her bedroom. 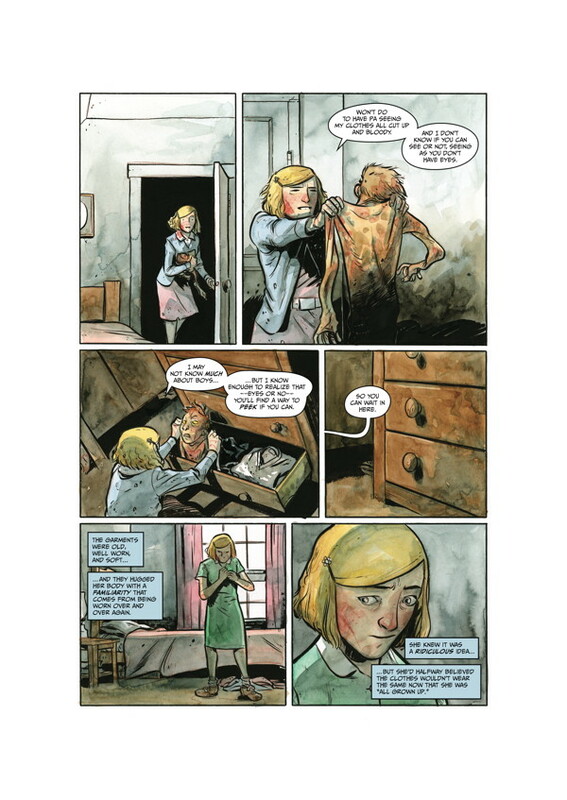 She has a frightening nightmare that night and on awakening finds the skin trying to get out of her drawer. It tries to tell her about the tree and the people gathered beneath it. One of them is her own father. So she takes off, looking for him, the skin stuffed in a bag she is carrying, She doesn’t find her father, but runs into Bernice. She begins to learn bewildering things, not knowing anything herself. Becoming as twisted like the tree on the farmland Emmy lives on, the tale grows stranger and darker, not needing gore like modern horror stories, but disturbing enough to haunt you long after you read it. 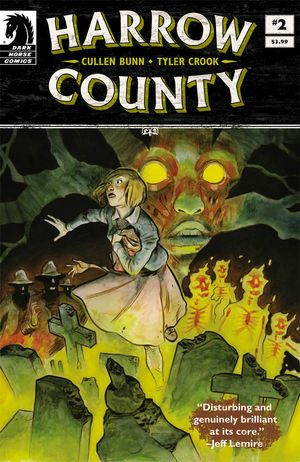 I give Harrow County #2 five haunted sheep.